Apple announced yesterday that its HomePod smart speaker will officially become available in Canada, France and Germany on June 18th. Earlier in the year, Apple indicated that HomePod would launch in France and Germany in the spring and the announced arrival date helps keep that promise with two days to spare. The bigger news is the previously unannounced availability for Canada. At this time last year, there were no smart speakers officially available for purchase in the country. That changed last June with the introduction of Google Home and Amazon Echo arrived in November. Canadians will now have a wide selection of smart speakers options nearly rivaling U.S. device availability. Will HomePod Beat Echo to Market in France? The other interesting aspect of the launch timing is that HomePod may actually beat Amazon Echo to market in France. Google Home started shipping to France in August 2017, but Amazon Echo has yet to arrive. 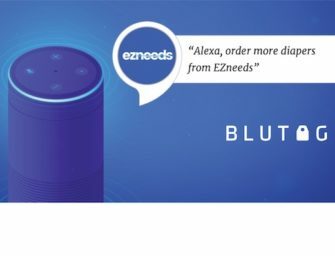 A French version of the Alexa Skills Kit SDK for developers was released in March 2018 so it is widely expected that a localized version of the Alexa voice assistant and Echo smart speakers will soon be shipping. If Echo doesn’t ship before June 18th, it would represent the first country that Amazon trailed Apple in introducing a smart speaker. Apple began shipping its first HomePod units on February 9th to U.S., U.K. and Australian consumers. Amazon began shipping Echo to Australia just eight days earlier. So, it wouldn’t be surprising to see Echo devices arrive in France in the next two weeks to get the jump on Apple and take advantage of increased interest in smart speakers that HomePod is bound to create. The more widely covered news is the stereo pairing for multiple HomePod devices with the iOS 11.4 update. This was announced as a key feature of HomePod when first revealed at Apple’s annual WWDC event in 2017, but wasn’t available upon initial device launch in February. HomePods working in unison are expected to adjust to the presence and location of the other devices to optimize stereo sound quality for the user. In theory, this increases the incentive for users to purchase more than one of the $349 devices.